This client originally came to The Billington Partnership enquiring about bio fuel fires. 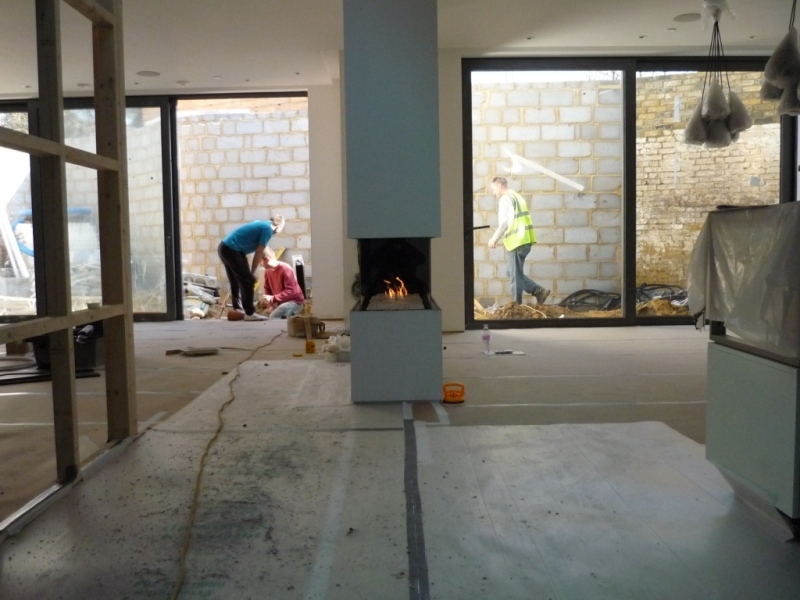 They were building a magnificent contemporary house in Wandsworth and felt that they could have a conventional fire or flue system. They believed that a bio fuel fire was their only option. 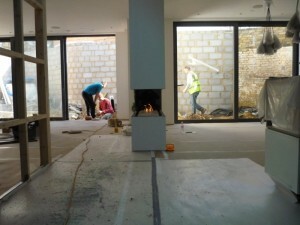 The plans showed a purpose built stand alone dividing wall between two rooms. 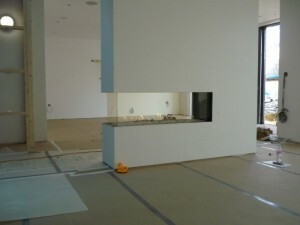 A see-through fireplace was to be placed in this wall. We discussed all the different options for the client including making the fire a 3 sided fire. The reason for this is that the fire could then be seen on entering the property. 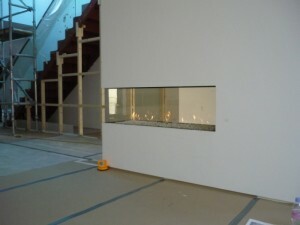 This would therefore make a stunning visual impact. The clients loved the idea and promptly instructed The Billington Partnership to supply and install the Faber Aspect RD XL fire. We worked closely with their contractors, Square Foot Solutions and the installation went smoothly. 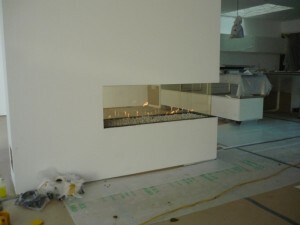 The images show what an amazing fireplace this is and how it has such a fabulous presence in the room. 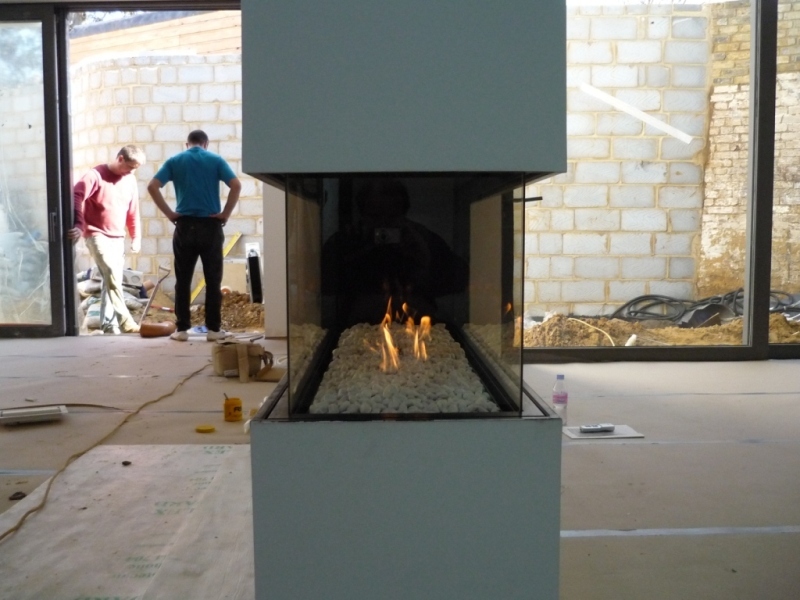 Finally, for more information on contemporary fireplaces, contact The Billington Partnership.